Having a professional landscape design is a key step in the road to constructing your dream garden. Do you look out your window into your yard and wish you had a space you enjoyed more? Or even dread the time you have to spend maintaining your yard? 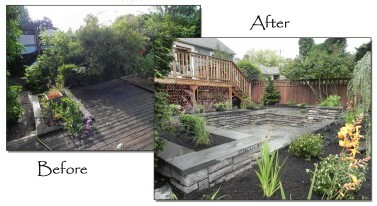 A good landscape design can change all of that and give you a space that you can’t get enough of. Whether you plan to install some or all of the landscape design or need to have someone install it for you, having a well thought out landscape design can make all the difference in the final outcome of your landscape and the investment you put into it. 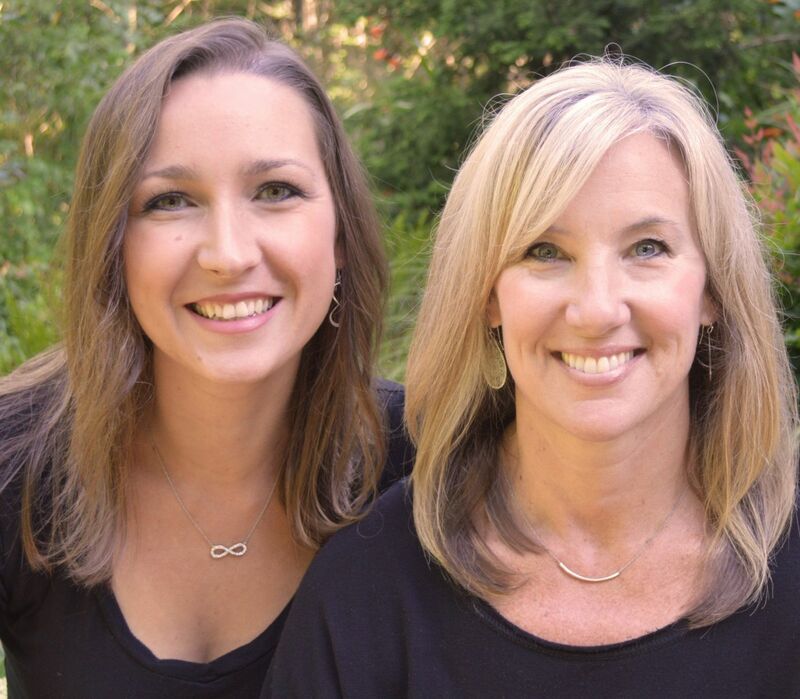 We work very hard to make sure that we get to know you and include you as an integral part of the landscape design process. That way it is your landscape design, it will be unique to you and your space and unlike any other garden. We also have you fill out a detailed landscape questionnaire on our website before we meet so that we have a head start on getting to know you and your needs. There are many options when it comes to the decision of who is best suited to design your garden, read more about that in ‘What is the difference between a Landscape Designer and a Landscape Architect’ . A question we get asked often is ‘Why would I pay for a design if a design/build contractor will do it for free?’ Like most things in life… you get what you pay for. Not to say that there aren’t landscape design/build contractors with great artistic vision. 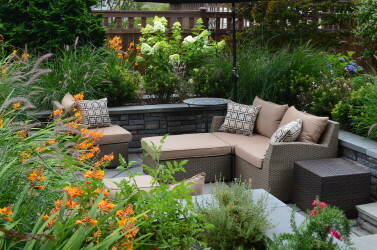 However, most landscape design/build contractors that provide a more detailed landscape design service either charge upfront for it or build it into the construction cost of the project. Our landscape design process is just that, it is a process. It takes time, thought, and expertise. Views, screening issues, elevation, personal style, your lifestyle, the property characteristics and climate, among other site conditions are taken into account when working through the landscape design process. 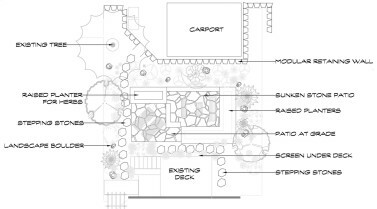 Landscape plans typically include a hardscape plan, planting plan, plant photos, plant list, lighting layout and any necessary details needed for construction. 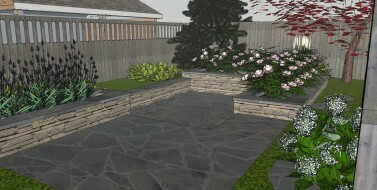 We also provide 3D modeling of your landscape design if needed to express our vision. This is more in depth than the information that can be provided by painting out lines in your yard or on the back of a napkin. Having a landscape design on paper ensures that the vision you have for your landscape and have attempted to relay to the contractor is the same in your head as it is in theirs. Without having a landscape plan there is no way to know what the overall look and feel of the landscape will be until it is installed. In most cases that is too late to decide that it is not what you really wanted. Many of our landscape designs are also master landscape plans that take into consideration items that may not be installed until much later. 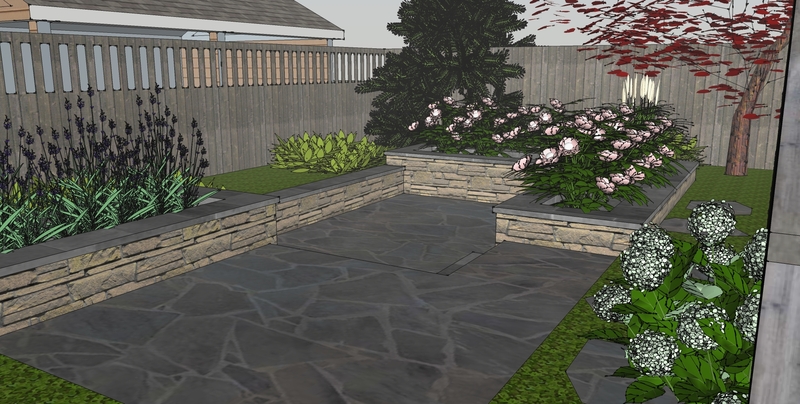 Phasing your landscape project can help you get your dream garden within your budget by installing smaller pieces of the whole plan as budget allows. Having a master landscape plan of all of those phases makes sure that when all the landscape phases are complete the landscape is cohesive as a whole. A landscape plan also makes getting multiple landscaping bids easier. Sometimes something as simple as getting a bid for a gravel path on the side of your house can result in drastically different bids for no apparent reason. That being said, not everyone needs a professional landscape design. One example would be if you have a mostly landscaped yard and need an irrigation system installed or your lawn redone. Unless it is drastically different from the current arrangement you probably don’t need a full landscape design and can have a trusted landscape contractor install it for you. Maybe you just need some plant suggestions or help determining what plants need to be removed. 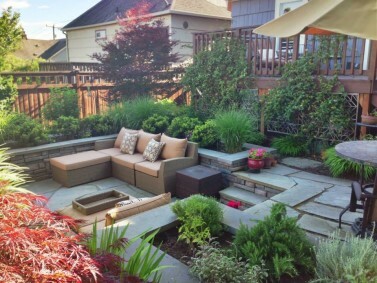 Call us or tell us about your project and we can help you decide if a landscape design is right for you. Organized under 3d Modeling, Design Style, Landscape Architect, Landscape Architecture, Landscape Design. 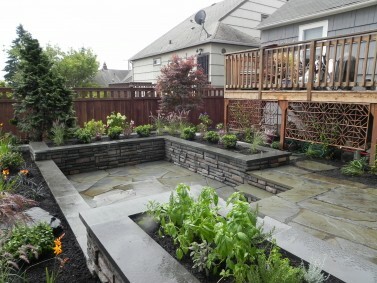 Labeled as Garden Design, Horticulture, Landscape Architecture, landscape design, Snohomish landscape design. Thanks for helping me learn more about landscape design. 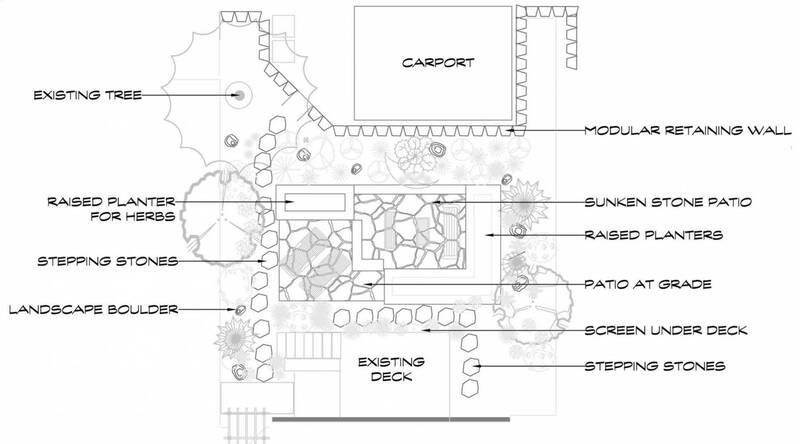 I didn’t know that sometimes these plans could include a hardscape plan. I’m kind of interested to learn more about what this plan is like or how the client’s needs are taken into account for this. I’m glad you found this post educational! We work closely with our clients so that their needs, wants, and goals are all incorporated in the design while working within their budget so that they can enjoy their garden for years to come. I just wanted to thank you for going into detail about landscape designs. I actually didn’t know that this could be a good way to ensure that you and the contractor are both on the same page. I wonder if it could be beneficial to work on this design plan together, especially if it could help establish what you want. We are so happy that this post has helped clear some things up for you! We generally work on the designs with the client and then once the designs are complete, the client can then take them to a contractor for bidding or if they’d like us to manage the installation of the project, we can help them through that process.